There’s no shame in being a foodie. Still, large portions or a junk food addiction can harm weight loss. Here’s to developing a healthy relationship with food. Do you have a healthy relationship with food? Many people think that, just because they don’t struggle with an obvious eating disorder, such as anorexia or binge eating disorder, that their relationship with food is a healthy one. In reality, though, a lot of people have issues when it comes to the food they eat. They might be obsessed with eating clean and flinch at the sight of a doughnut. Or, they might have an aversion to anything remotely healthy and choose to eat only junk food. They might claim to eat whatever they want with no concern about the scale, only to turn around and spend hours on the treadmill working it off. An unhealthy relationship with food can manifest itself in many different ways, and it’s not always easy to spot. The good news, though, is that it’s never too late to turn things around. Read on to learn more about what a healthy relationship with food looks like. You’ll also learn some important skills regarding developing a healthy relationship with food. Why Does Your Relationship with Food Matter? Depending on where you’re at in your health journey, you might be wondering why having a good relationship with food is so important. First, let’s start with the facts. Approximately 71.6 percent of adults in the United States are either overweight or obese. And, at least 30 million people in the United States suffer from some kind of eating disorder. Clearly, there are a lot of people in this country who have a hard time eating in a way that nourishes and fuels their body appropriately. They may be eating too much or eating too little, but, at the end of the day, the result is the same — a poor relationship with food. If you have a poor relationship with food, you’re likely going to have a hard time maintaining a healthy weight. You might go through binge and restrict cycles or fall victim to crash diets. Or, you may look physically healthy on the outside but feel bogged down on the inside by the stress associated with constantly worrying about the food you’re eating. Before you can make lasting changes and work toward your health and fitness goals — no matter what they are — you need to make sure you’re also working on improving your relationship with food. What Does a Healthy Relationship with Food Look Like? It’s hard to pin down exactly what a healthy relationship with food looks like. It’s kind of like asking someone what it means to be fit. Everyone has a different definition in mind based on their past experiences. You can’t tell, just by looking at someone, whether or not they have a healthy relationship with food. Instead, a more accurate measure is their habits and behaviors. 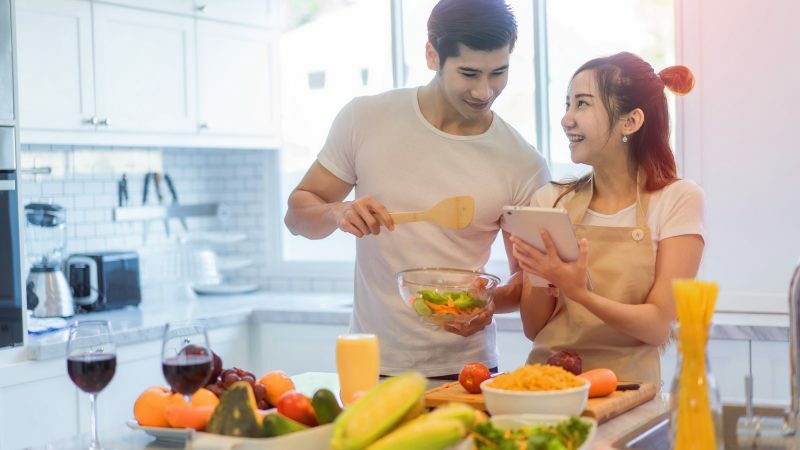 There may not be one definitive method for measuring a healthy relationship with food, but the following are some common, positive traits to look for. Ask yourself honestly whether you possess at least some of these traits. If you don’t, it might be time to work on changing your relationship with food. You don’t eat out of sadness, loneliness, anger, or boredom. When something bad or difficult happens, you don’t turn to food for comfort. You’re not constantly worrying about the number of calories or grams of carbohydrates in a particular food. You’re able to recognize hunger, eat what satisfies you, and stop when you’re full. In the event that you do indulge and consume something that isn’t technically healthy, you don’t feel the need to “undo the damage” you’ve caused. You have a good grasp on the concept of being “cyclically fit.” You don’t try to burn off the number of calories you just ate or fast the next day to make up for your decision. You understand that, when it comes to food, everyone’s needs and preferences are different. You don’t compare your body or your food choices to others’. Instead, you just focus on making decisions that make sense for yourself and your lifestyle. One trait that almost always presents itself in people with an unhealthy relationship with food is the amount of time they spend thinking about food. They’re almost always thinking about when they’re going to eat next, what they’re going to eat next, how it’s going to affect the scale, etc. If you have a healthy relationship with food, you likely aren’t constantly planning your next meal. You see eating as a necessary part of life and you eat when you’re hungry, end of story. In some circles, there’s a mindset that, if you avoid certain kinds of food, it’s because you have an eating disorder or an unhealthy relationship with food. If you truly have a positive relationship with food, though, you understand and respect the fact that some foods don’t make you feel your best. For you, this might mean avoiding sugar because you don’t like the blood sugar crash that comes with it. Or, you might avoid eating dairy because it upsets your stomach. 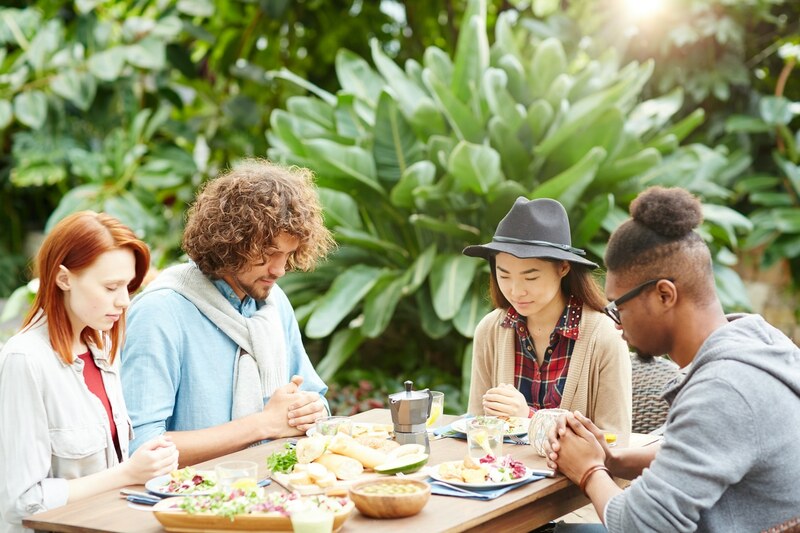 A truly positive relationship with food involves eating foods that make you feel good and avoiding foods that don’t, even if everyone else is eating them. It’s okay if you’re feeling a bit overwhelmed at this point. It can be hard to acknowledge that your relationship with food isn’t the healthiest. It’s also easy to feel as though you’ll never be able to flip the script and make things better. You absolutely can make a positive change in your life, though. Start by implementing these ten tips into your lifestyle to start changing the way you look at and consume food. How do you typically eat your meals? Do you eat standing at the counter or over the sink? Do you plop down on the couch with the TV on while scrolling through Instagram, doing your best not to drop food on your phone or tablet? Eating mindfully can help you get in touch with your body’s natural hunger and fullness cues. It can also help you enjoy your meal more and feel more satiated. If you have a tendency to overeat, this is an especially great benefit. The next time you have a snack or meal, start by sitting down in a chair at the table. Don’t turn on the TV or look at your phone. Simply eat your meal with no distractions. Before you start to eat, take a moment to express gratitude for your food. You can do this out loud or silently to yourself. If you’re a religious person, this can be an actual prayer. Or, you can simply say “thank you” and think for a minute about the work that went into the meal. By pausing for a second before you dig in, you can get into a calmer, more mindful state. You may also appreciate your food more if you take a minute to think about where it came from and the work people had to do to get it to you. Many people start eating, not because they’re hungry, but because they’re experiencing a troubling emotion. They might be feeling lonely or sad, or they might be anxious or stressed out. 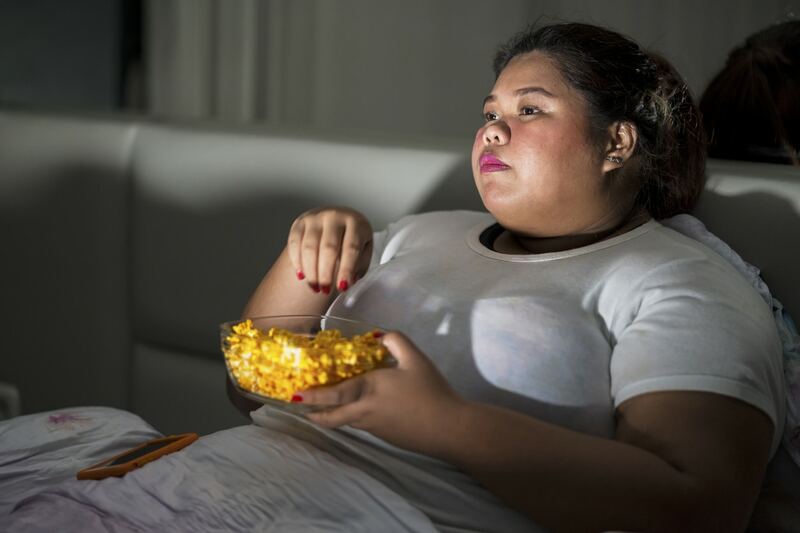 Before you reach for your food — especially if it is a highly palatable, processed food like chips or cookies — ask yourself if you’re actually hungry. Another way to assess your hunger is to ask yourself if you could eat broccoli right now. If you’re actually hungry, broccoli will sound appealing. If you’re not willing to eat broccoli, you’re not really hungry, you’re having a craving. Accept that there are going to be times when you slip up. There will be times when you eat out of emotion or let yourself get distracted during a meal. It’s okay. Once you realize where you made a mistake, take a step back and figure out why. Then, release yourself from shame and guilt and move on with your life. Remember, you wouldn’t slash the other three tires on your car just because you got one flat. Most people who have an unhealthy relationship with food have a tendency to label foods as good or bad. If this sounds familiar to you, try changing the way you talk about the food you eat. Instead of seeing foods as good or bad, try looking at them as good, better, and best. Try to make most of your foods come from the “better” and “best” categories, but allow yourself to have some “good” foods every once in a while, too. When it comes to these “good” foods, many people find that it’s helpful not to keep them in their house, at least for a while. This is especially true for people who struggle with binge eating disorders. If there’s a food that you have a hard time saying “no” to, do yourself a favor and reduce the number of times you need to say “no” to it. You’re less likely to overconsume ice cream if you don’t have it in the freezer at all. Make ice cream an occasional treat that you have to go out to get. Then, when you have it, you’ll enjoy it, but won’t always be there in the freezer tempting you. 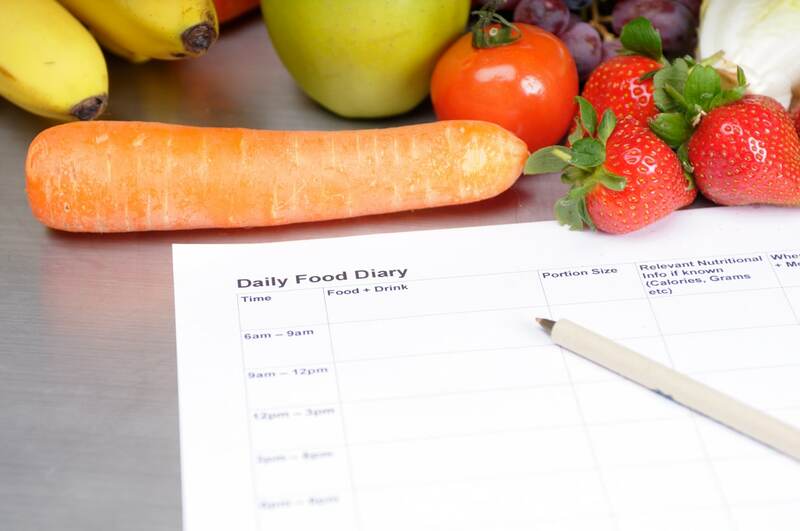 Keeping a food journal is another useful tool. Don’t just write down the number of calories or grams of carbs in the foods you eat, though. Instead, pay attention to the emotions you experienced surrounding your meals and snacks. Were you eating because you were hungry, or were you trying to cover up an unpleasant emotion? Writing things down can make them more tangible. It also makes it easier for you to spot patterns and look objectively at your situation. If you have a tendency to order out several times per week, try cooking for yourself for a while instead. Cooking at home can help you gain a better appreciation for your food. You’ll also appreciate yourself and the effort you put into cooking a nice meal. Your meals will almost always be healthier when you cook them yourself than when you order out. You’ll save money, too! If you do keep certain foods in the house that you tend to overeat, measure out a serving instead of eating straight from the box or bag. Even if you don’t actually put your food on a scale, just putting it into a bowl before eating will help you moderate your consumption and avoid overeating. Finally, it’s important to learn the difference between a snack and a treat. How often have you wanted a snack and reached for something that you knew wouldn’t be filling, like a cookie or a doughnut? That wasn’t really a snack. It was a treat. Snacks should satisfy your hunger. Treats, on the other hand, are for pleasure. If you’re hungry and have a couple of hours before you can make dinner, snack on a hard-boiled egg or an apple with almond butter. Save cookies, doughnuts, and other highly palatable foods for when you want a treat. If you’re not happy with your relationship with food, you can turn things around today. Now is the perfect opportunity to start. Keep these ten tips in mind and you’ll be well on your way to developing a healthy relationship with food. 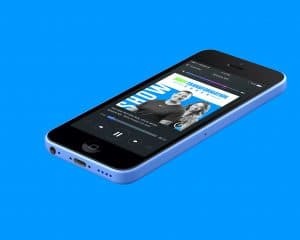 If you’re looking for more information, check out our podcast for a variety of episodes related to health, fitness, and wellness. Don’t forget to look into out our 9-week challenge, too. When you sign up, you’ll get one-on-one with a qualified coach who is dedicated to helping you achieve your health and fitness goals.